Patrick Warburton joins Larry to discuss his turn as Lemony Snicket on Netflix’s ‘A Series of Unfortunate Events,’the astounding staying power of his nine-episode arc as Puddy on ‘Seinfeld,’ and why he’s rooting for President Trump. 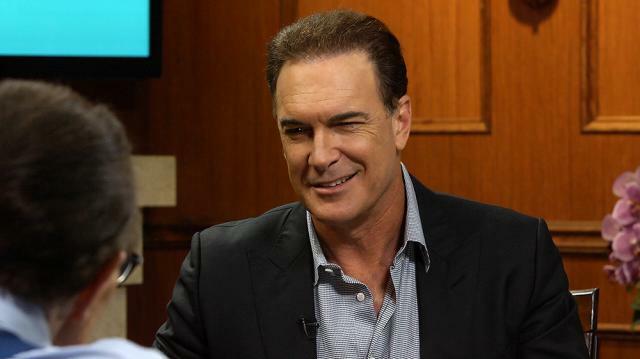 Larry King meets with Patrick Warburton, the actor who voices Joe Swanson in ‘Family Guy,’ plays Lemony Snicket in ‘A Series of Unfortunate Events,’ and had roles in ‘Seinfeld,’ ‘Ted,’ and ‘The Emperor’s New Groove,’ in addition to doing ‘The Bee Movie’ with King. Warburton talks about doing sitcoms, spending time with his family, and working on his career. There is a focus on his noted appearances on ‘Seinfeld’and his role as the empathetic narrator in ‘A Series of Unfortunate Events,’as well as discussion about his costars for the respective series, Julia Louis-Dreyfus and Barry Sonnenfeld. Then King asks Warburton about his experience at New Jersey Devils games, since his ‘Seinfeld’ character is a fan of the ice hockey team. Warburton relates a funny incident about dropping the puck for them. The next topic King brings up is Warburton’s Catholic upbringing, and Warburton talks a bit about being a bad Catholic and raising his kids. Finally, King directs the conversation to Warburton’s thoughts on Trump. Though Warburton is rooting for him, he admits he abstained from voting in the presidential election.